1. The Advertisment will appear in English, Tamil and Sinhalaese. 2. Advertisments in the Home Page will appear in the some sub pages. 3. One web link per ad. 4. You can change your ad as you want (we will give you script). The information provided on this site is offered as-is without warranty. The reader of the information provided by this assumes all risks from using the information provided herein. This site owners, operators, editors, reporters, writers, authors, and partners disclaim any and all liability from the information provided herein. Any financial, medical health, legal, psychological, obituary, birthday, alliance, information provided in this site is not intended as replacement for professional consultations with qualified practicitioners. If this site provides medical or health-related information, no such information provided by this site is intended to treat, or cure any disease or to offer any specific diagnosis to any individual. Content authors or editors are not responsible for correctness of the obituary notices, birthday greetings, alliance announcements and other matrimonial announcements posted in this site. These information are posted based on the information provided by the concerned individual and this site is not to be held responsible for lapses or mistakes. Content authors on this site are forbidden to post content that is slanderous, illegal, incitive of dangerous acts, stories inciting terror and violence, or in violation of copyright law. If you have reason to believe that this site may be hosting content that is slanderous, illegal, incitive of dangerous acts, stories inciting terror and violence, or in violation of copyright law, kindly contact e-mailing to [email protected] trademarks mentioned on this site are the property of their respective owners. The publisher reserves the right to edit, revise, or reject any listing, advertisement or other content (collectively "advertising" or "advertisement") for any reason. Neither the publisher nor any affiliates or the staffs of Lanka e News.com shall have any liability whatsoever by reason of error for which they may be responsible in any advertisement. The publisher does not guarantee any given level of circulation, distribution, reach or readership for an advertisement. The advertiser and advertising agency assume liability for all content (Including text representation, illustrations, updates and links to other internet content) of advertisements published and also assumes responsibility for any claims arising there from made against the publisher or affiliates, including all costs associated with defending any such claim. All positions are at the option of the publisher. In no event will adjustments, reinstatements or refunds be made because of the position in which an advertisement has been published. The publisher will seek to comply with position requests and other stipulations that appear on insertion orders but cannot guarantee that they will be followed. The publisher shall be under no liability for its failure for any cause to publish an advertisement. Advertiser understands and agrees that the publisher shall be the exclusive owner of any and all rights, title, and interest including copyright in and to any works of authorship, derivative works, adaptations, inventions or other intellectual property generated by the publisher, its employees or agents pursuant to this agreement, and any advertising and-or promotional materials relating thereto. Advertiser grants to the publisher the worldwide royalty-free right to redistribute, sublicense, and otherwise distribute the advertising to any third party in any medium whatsoever. The advertiser or advertising agency shall pay the production cost of advertising created by publisher but not used. Charges for changes (not corrections) from original layout and copy will be based on current production rates. The publisher will not be responsible for errors appearing in advertisements which are placed after deadline or for errors due to late delivery of material from the advertiser or advertising agency or from a third party designated by the advertiser or advertising agency as a source for material to be published. Corrections or changes of advertising dates and/or changes of advertising content must conform to published deadlines. Once an advertisement has been accepted, it cannot be cancelled. The advertisement will continue to run for the full length of the period according to the agreement. The publisher does not assume any liability for the return of any material in any medium in connection with advertising. On advertising where credit is allowed by the publisher at its sole discretion, monthly accounts are due and payable, on or before the fifteenth (15th) day of the month prior to the month the ad is to appear. (Example: payment is due on March 15th for an ad which is to run beginning April 1st). Ads will not begin in the middle of a month. All ads start of the 1st day of a month and run to the last day of the month, but publisher reserves his discretion on this subject. 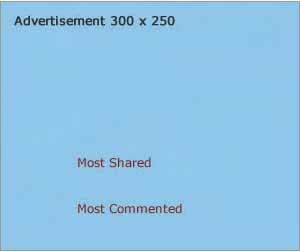 All advertising fees must be paid in full for the entire length the ad is to run for, at the time the advertisement is submitted, unless the publisher grants, "credit status" to an advertiser. Please do discuss through call (0094 11 885122 / 0094 77 375736) or E-Mail: ([email protected]) regards payment modes. Orders are accepted by publisher, subject to the foregoing terms and conditions. Terms, conditions, rates or agreements not set forth herein or in then current rate schedules are not binding. Customer service representatives and sales representatives are not authorized to modify any of these terms and conditions. Any modification of these terms and conditions is effective only if set forth in a separate written agreement signed by a duly authorized representative of the publisher. The publisher is not bound by any promises or representations made by its sales representatives unless set forth in writing and signed by an officer of the publisher. The publisher shall not be liable to the advertiser for any technical malfunction, computer error or loss of data or other injury, damage or disruption to advertisements or web sites or the service. පාස්කු ඉරිදා ශ්‍රී ලංකාවම මළගෙයක් කරයි; ස්ථාන 9 ක බෝම්බ පුපුරයි; දේවස්ථාන සහ ප්‍රධාන හෝටල් තුල 300 කට අධිකව මරුට; 560 ක් පමණ තුවාල; සියළුම ප්‍රහාර මරාගෙන මැරෙන ඒවා; පිටුපස විදේශීය මුස්ලිම් ත්‍රස්ත සංවිධානයක්; ආරක්ෂාව බාර ජනාධිපති රටෙත් නෑ..! බෝම්බ පුපුරුවා ගෙන මරාගෙන මැරුණු අය විදේශිකයෝ..! දෙදෙනෙක් හඳුනාගනී..! සමාජ ජාල තහනම්..! රට පුරා ඇඳිරි නීතිය..!